Do you want to see all the routes in a given area? You can filter the searches by country, region, municipality and within them by type of activity. 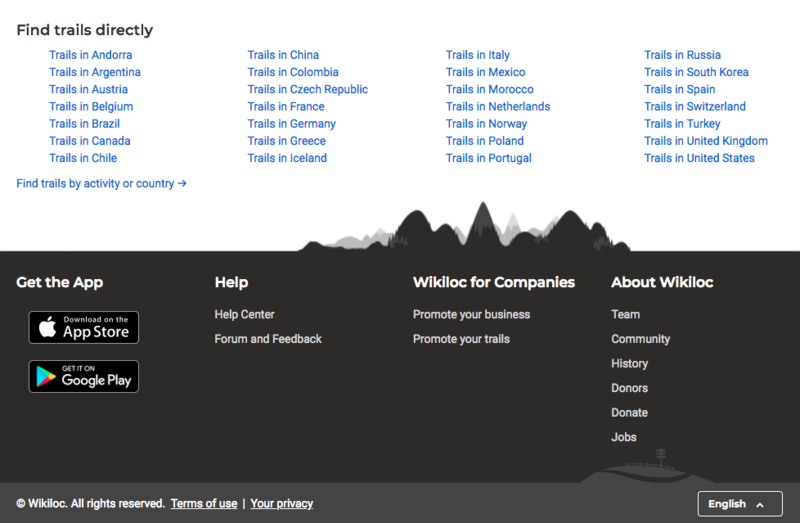 To do so, you have to click on the country links that you will find at the bottom of the homepage. Once inside, on the left, you will see a list of regions. If you decide to click on a region you will see a list of the municipalities. With any of these three options, on the left bank, you will also see a list to filter by type of activitiy.